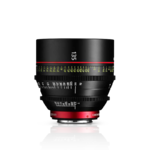 The EF Cinema Prime CN-E24mm T1.5 L F (EF mount) lens offers a compact, consistent lens design and proven Canon lens elements for performance and reliability in professional shooting environments. 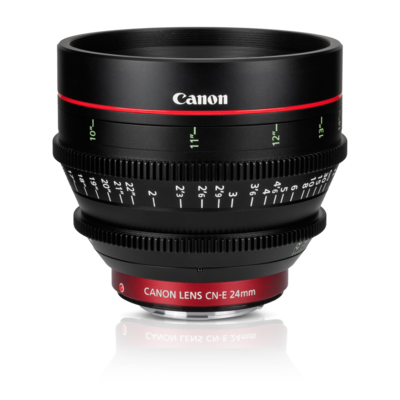 Intended for the working professional, the EF Cinema Prime CN-E24mm T1.5 L F lens has markings on angled surfaces on both sides of the barrel, making it easy to read focus and aperture settings from behind or from either side of the camera. Focus markings can even be switched from standard labeling to metric. 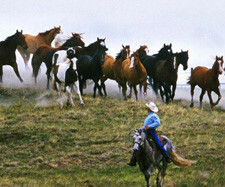 The control rings are engineered to maintain the proper amount of resistance with consistent operating torque. 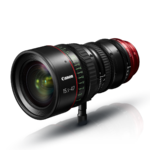 Canon's brilliant EF Cinema Prime lenses offer spectacular optical performance for demanding high-end productions. 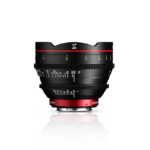 Featuring a compact and consistent lens design, these lenses offer consistent form factors and markings optimized for motion picture production. Sharing the same gear position, diameter, rotation angle and front diameter, the lenses' compatibility with third-party accessories allows crews to easily change lenses without making adjustments to the rig setup. 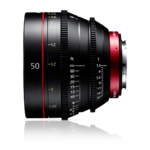 Perfect on the EOS C300, these lenses are also compatible with all Canon EOS DSLRs. This device has not been authorized as required by the rules of the Federal Communications Commission. This device is not and may not be offered for sale or lease or sold or leased, until authorization is obtained.